Spray 13x9-inch (3-quart) baking dish with cooking spray. Spread half of the English muffins in bottom of dish; add Canadian bacon and 1 1/2 cups of the cheese; top with remaining English muffins. In large bowl, beat eggs, milk, salt and pepper with whisk until mixed well. Pour over English muffin mixture, pressing down slightly. 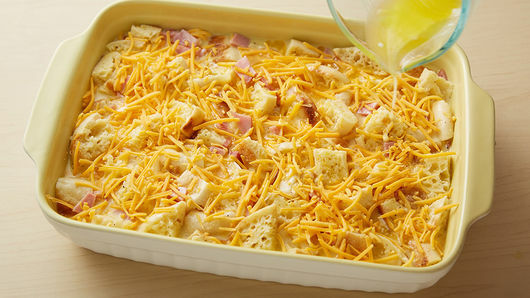 Sprinkle with remaining 1/2 cup cheese. 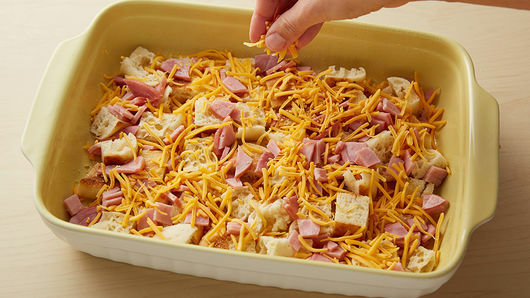 Cover and refrigerate at least 2 hours but no longer than 12 hours. Heat oven to 350°F. In small microwavable bowl, microwave butter uncovered on High 20 to 30 seconds or until melted. 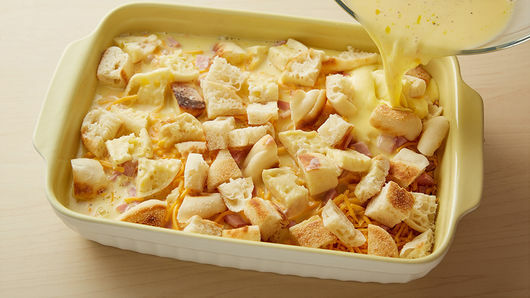 Uncover casserole; drizzle butter on top. Bake 35 to 45 minutes or until golden brown and knife inserted in center comes out clean. Let stand 15 minutes before serving. Top with sliced green onions before serving, if desired. 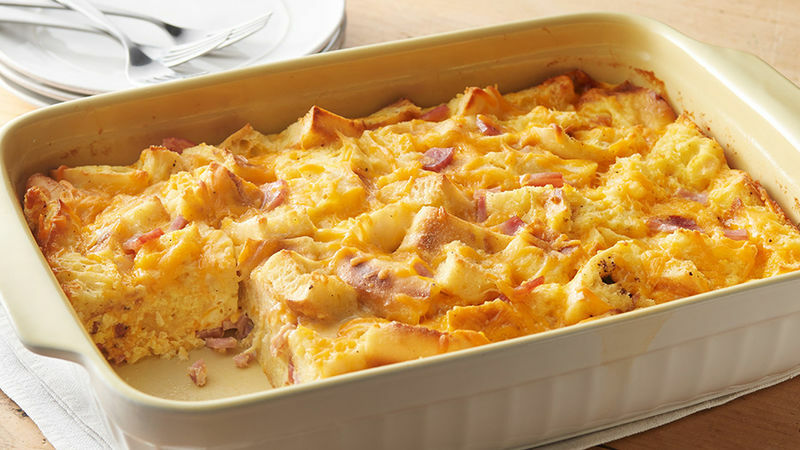 Drizzling with melted butter before baking helps complete the breakfast sandwich flavors in this egg casserole.